holiday just a little brighter. Cats are a wonderful part of the holiday season since they are warm, cozy, and love sitting by the fire. They also love to climb trees -- and Christmas trees are no exception. This darling musical figurine marries the joy of Christmas with the joy of cats in a charming way. The lights blink in time as The Jingle Cats share their mew-sic with you. This piece is a limited edition featuring the delightful imagery of artist Jurgen Scholz. 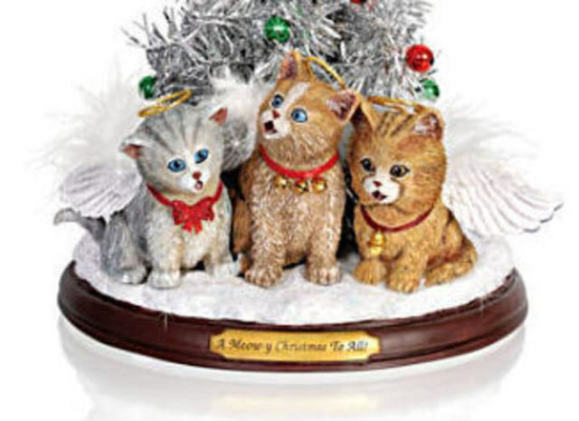 Those of us with cats know that these little devils can also be little angels and these little angels sing a variety of Christmas carols including Silent Night, Deck the Halls, and Oh Come All Ye Faithful. They will inject the holiday spirit right into your home. 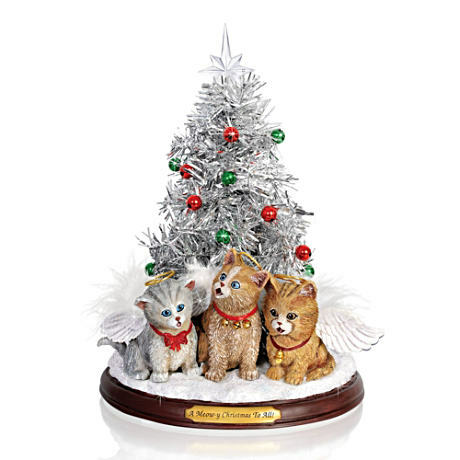 To order your A Meow-y Christmas To All Tabletop Christmas Tree, click here.